Badda Bing...10---half yard bundle...by Me and My Sister Designs for Moda Fabrics...exclusive grouping. 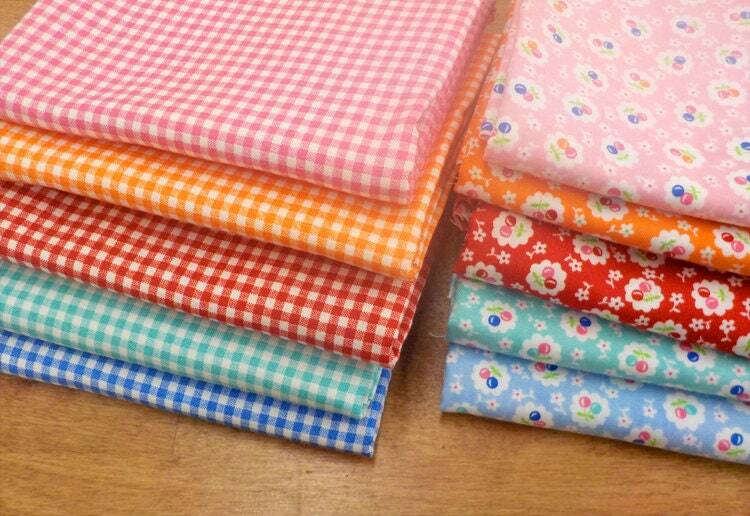 This pack of 10 -- half yards includes 5 gingham prints with coordinating cherry prints. A delightful addition to any collection of 30's reproductions or use it as a starting point to build a collection. The summery colors make it a wonderful group to add to your Farm Girl Vintage, 30's Farmers Wife, or Double Wedding ring.